By most people’s standards, Oh, Hello might not be suitable for kids. 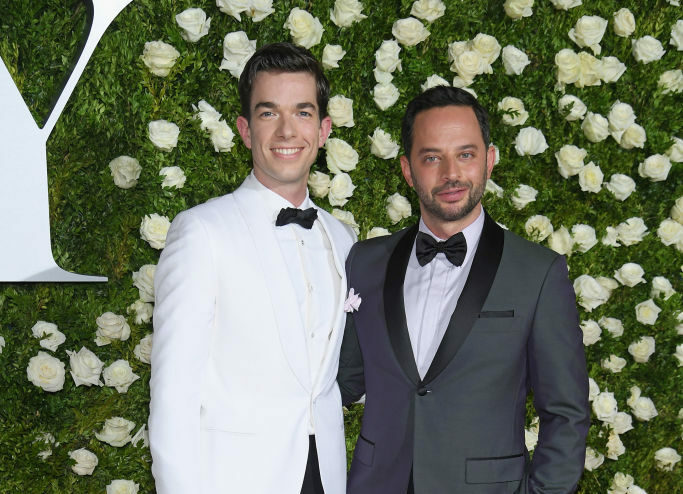 But if you’re Nick Kroll and John Mulaney — hey, why not? The comedians — who created and starred as George St. Geegland (Mulaney) and Gil Faizon (Kroll) in the Broadway show about two old and obscene roommates living on the Upper West Side — recently spoke with reporters about Oh, Hello and its Netflix spinoff, and they revealed that they’ve already decided who to license the show to next: High-school students — although they wouldn’t be opposed to a middle-school production. "I will say...people have asked like, Oh, Hello, this is now a classic play," Kroll joked. "This is gonna go down in the annals. Arthur Miller, George St. Geegland, these are some of the greatest writers in American history. But if we do ever license the show, we want [it] only for high schools." "Yes," Mulaney added. "We're trying to figure out, so Samuel French publishes plays, and then it's like you pay a fee and you can do it at a local theater. But we want to make it so it can only be done by high-school productions because—" "Or middle school, or middle school," Kroll conceded, with Mulaney nodding with agreement. The two also joked about high school productions and how most schools try to have the largest cast possible for the sake of inclusion — something that simply wouldn’t work with Oh, Hello, as George and Gil are despised by all except themselves. "How terrible would that be," Mulaney said. "I mean, remember the school play where they have to pick something with a hundred parts, equal men and women...to just be like, this year's play is Oh, Hello. It stars two kids, both men." While that’s their current plan for licensing the show, there’s always the hope that their understudies, John Slattery (Gil Faizon) and Jon Hamm (George St. Geegland) could *finally* give Oh, Hello their best shot. Meanwhile we can continue to rewatch Oh, Hello on Broadway a thousand times on Netflix.